Among the most important changes that occur during the tempeh fermentation are those that affect the nutritional quality of tempeh. As noted above, the concentration of the major macronutrients (i.e., protein, fat, and carbohydrates) decreases as the soybeans are converted to tempeh, due to enzymatic hydrolysis. These changes may account, in part, for an improvement in nutritional quality. For example, it has been suggested that protein hydrolysis makes tempeh more digestible, compared to soybeans, although the protein efficiency ratio (used as a measure of protein quality) of tem-peh is no higher than an equivalent amount of cooked soy beans. There is also a decrease in the amount of soy oligosaccharides (mainly stachyose and raffinose) during the conversion of soybeans into tempeh. These sugars, which are quite undesirable due to their ability to cause flatulence, are removed from soybeans not by fermentation, but rather by diffusion during the soaking and cooking steps. Probably the most important nutritional improvement that occurs during tempeh manufacture is the increase in vitamin content. Of particular interest is vitamin B12, whose concentration in cooked tempeh generally ranges from 0.1 ^g to 0.2 ^g per 100 g. Since soybeans contain negligible levels of this vitamin, it is evident that its presence in tempeh must occur as a result of biosynthesis by microorganisms in the tempeh. What is surprising, however, is that vitamin B12 is made not by R. oligosporus nor by lactic acid bacteria, but rather by bacteria that are essentially chance contaminants in the tempeh-making process (Box 12-3). For example, Klebsiella pneumoniae, a Gram negative member of the family Enterobacteriaceae, is a known B12 producer, and is also present in Indonesian tempeh. Other vitamins, including riboflavin (B2), niacin, pyroxidin (B6), biotin, pantothenic acid, and folic acid, also increase in concentration by up to five-fold during tempeh production. The concentration of thiamine (B1), however, decreases, and there is no effect on the level of fat-soluble vitamins. Tempeh is one of only a few non-meat or non-animal-containing foods that contain vitamin B12. However, despite considerable research interest,the actual means by which synthesis of B12 occurs has yet to be resolved. In part, this is because measuring the actual amount of this vitamin and its biological activity in tempeh have not been easy tasks. Reported concentrations range from 0.002 ^g/100 g to 8 ^g/100 g, a 4,000-fold difference (Nout and Rombouts, 1990), depending on both the particular assay method (radio-immunoassay versus bioassay) and the sample extraction method. In general, tempeh is considered to contain 0.1 ^g to 0.2 ^g of B12/100 g.According to the USDA Nutrient Database, the Vitamin B12 content is 0.14 ^g per 100 grams of cooked tempeh. The main questions regarding the B12 content of tempeh, however, concern the organisms and pathways involved in B12 biosynthesis.The tempeh mold, Rhizopus oligosporus, does not produce any B12. In fact, the vitamin B12 (or cyanocobalamin) biosynthetic pathway is absent in eukaryotic organisms (Keuth and Bisping, 1993; Rodionov, 2003). In contrast, production of vitamin B12 by several bacteria, including aerobes (e.g.,Pseudomonas), anaerobes (e.g.,Propionibacterium and Clostridium), and facultative anaerobes (Citrobacter, Lactobacillus) has been reported (Martens et al., 2002;Taranto et al., 2003). Furthermore, a recent genomic analysis has revealed that the biosynthetic machinery for making B12 is widely distributed in bacteria (Rodi-onov, 2003). In tempeh, the main organisms responsible for vitamin B12 biosynthesis are Klebsiella pneumoniae and Citrobacter freundii (Keuth and Bisping, 1994).Although these organisms are present in the soy beans and soaking water, growth and vitamin production do not occur until later, after the overnight soaking step and during the primary fungal fermentation. Interestingly, there are reports that B12 production by C. freundii may be up to three times higher when these organisms are grown in the presence of R. oligosporus (Keuth and Bisping, 1993;Wiesel et al., 1997). The reader may be wondering about the presence of K. pneumoniae in tempeh and its suggested use as a starter culture.This organism is an opportunistic pathogen and is capable of producing several toxins, including three enterotoxins. However, not all strains are toxigenic; indeed it does not appear that strains isolated from tempeh contain enterotoxin genes (Keuth and Bisping, 1994). Keuth, S., and B. Bisping. 1994.Vitamin B12 production by Citrobacter freundii or Klebsiella pneumoniae during tempeh fermentation and proof of enterotoxin absence by PCR. Appl. Environ. Microbiol. 60:1495-1499. Martens,J.-H., H. Barg, M.J.Warren, and D.Jahn. 2002. Microbial production of vitamin B12.Appl. Microbiol. Biotechnol. 58:275-285. Nout, M.J.R., and F.M. Rombouts. 1990. Recent developments in tempe research. J.Appl. Bacteriol. 69:609633. Rodionov, D.A.,A.G.Vitreschak,A.A. Mironov, and M.S. Gelfand. 2003. Comparative genomics of the vitamin B12 metabolism regulation in prokaryotes. J. Biol. Chem. 278:41148-41159. Wiesel, I., H.J. Rehm, and B. Bisping. 1997. Improvement of tempe fermentations by application of mixed cultures consisting of Rhizopus sp. and bacterial strains.Appl. Microbiol. Biotechnol. 47:218-225. Taranto, M.P.,J.L.Vera, J. Hugenholtz, G.F. De Valdez, and F. Sesma. 2003.Lactobacillus reuteri CRL1098 produces cobalamin.J. Bacteriol. 158:5643-5647.
weight compounds, such as phytic acid and polyphenolic tannins, are removed during soaking and washing. 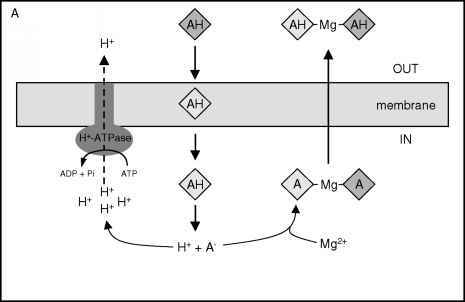 In contrast, proteinaceous compounds, including trypsin inhibitor and other protease inhibitors, and hemagglutenins are inactivated by heating steps. It is also possible that some of these compounds are degraded by enzymes produced during fermentation. For example, phytic acid can be hydrolyzed by phy-tases produced by R. oligosporus. Finally, there has long been concern about the microbiological safety and the possible presence of mycotoxins in tempeh. As is the case with other mold-fermented foods (e.g., soy sauce and miso), the wild or pure culture strains used for tempeh production do not produce mycotoxins.